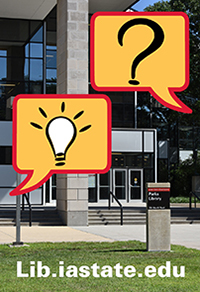 This Guide presents general information about Lib 160: Information Literacy. Students currently enrolled in Lib 160 should log in to Canvas for specific information relevant to their class, including instructor information, specific due dates, course feedback, exam dates and times, and so on. Lib 160: Information Literacy is a one credit university course taught by librarians & library staff and required for all undergraduate degrees. The course examines the use of research libraries and information resources, with an emphasis on finding, evaluating, and using scholarly information. Students learn how scholarly information is produced, organized, and accessed; how to construct and use effective search strategies in a variety of web tools and scholarly databases; how to choose finding tools appropriate to the type of information needed, and learn critical thinking skills in the evaluation of resources and best practices in the ethical use of information.